Well Appointed. | A Continuous Lean. Occasionally, I can make some absurd generalizations. One of my recent favorites is about Kickstarter and how I will never write about anything I find on there. The reason for this stems from the fact that 99.9% of everything that I have been pitched from the crowdfunding site is utter garbage. 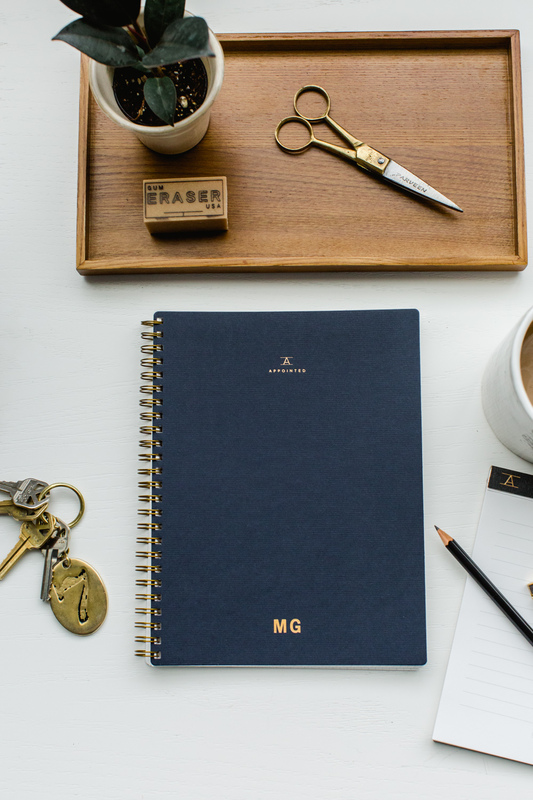 Then out of the blue a few weeks ago I received a perfectly executed (and wonderfully refreshing) email from Suann Song about her amazing new paper goods and desktop brand Appointed which launched recently on Kickstarter. Today, thanks to Suann’s creativity and hard work, my sweeping generalization surrounding Kickstarter falls. 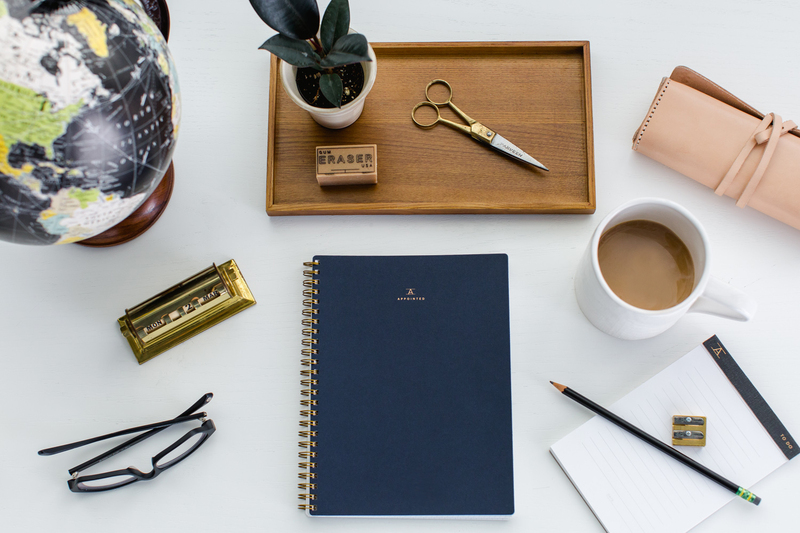 The Appointed collection is a handsome offering of notebooks and a memo pad. Eventually it will extend further to also include a beautiful brass ruler, and much more this summer. Everything is going to be designed and manufactured right here in the USA, setting Appointed apart from the many fine makers from Europe and Japan. 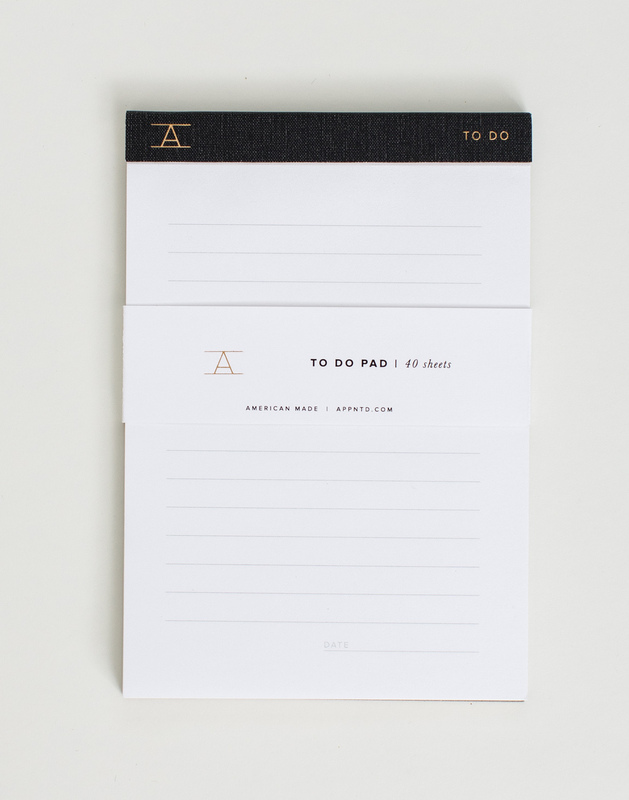 In a lot of ways, the look and feel remind me a bit of the awesome Japanese based brand Postalco. Incredibly, just a few weeks into the launch and the brand has already raised close to $33,000. It seems there’s definitely an appetite for fine American paper goods. Impressed with not only the aesthetics of Appointed, but also of Suann’s approach and attention to detail I reached out to find out more about what went in to the creation of Appointed. Tell me more about how Appointed came to be. What was that process like? How long did it take? And what was the moment that really pushed you over the edge to move ahead with this endeavor? I’ve been a designer for about 8 years and founded a creative studio based in the D.C. area. I’ve always had a passion for product – paper products, specifically – and we had a small stationery line for a while that did fairly well. I pulled that to focus on our branding and custom clients. But I’ve always wanted to get back into paper products and have had the idea for Appointed for quite some time. Even though I’m a business owner, which takes some risk, I’m very risk-averse. If I don’t have the funds, I don’t do it. And producing product takes a lot of risk – especially at the scale that I wanted Appointed to be at. So, about a year ago I decided that I was going to see what it would take to get Appointed going, research the market, and just start designing and prototyping product – and I would worry about funding later. Once I had product I believed in; that’s what got me to move forward and figure out funding. And that’s where Kickstarter came in. 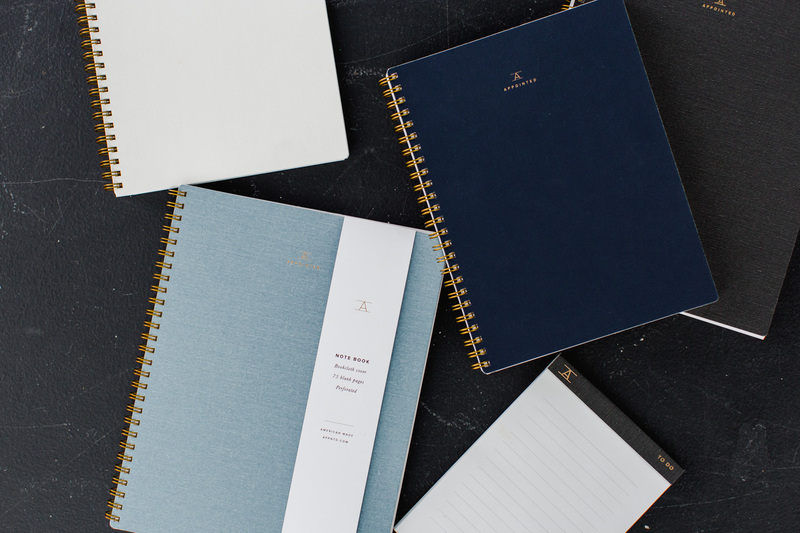 We’re raising initial funding to put our signature product into production but I also have a funding plan beyond the Kickstarter because the notebooks are just the start. We have a full line that we want to launch in the summer. Ideally, I’d like to get Appointed to a place where if you want simple, beautifully-made and functional products for your desktop, we make them. As a graphic designer, how does it feel to be making physical product? I’m a very tactile person – and while most of my work is on the computer – my design process begins and ends on paper. That’s why the notebook is our signature product. A notebook is so integral to our work and I treasure each of my notebooks that are filled with sketches and ideas. So to be able to produce notebooks that are simple, beautiful but most importantly functional is pretty great. 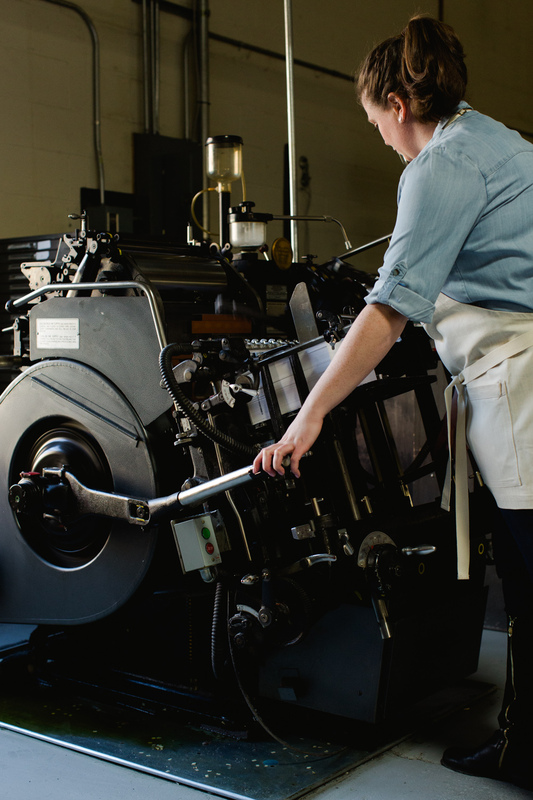 I also started on this creative path (I’m a former PR + marketing professional) as a letterpress printer. For me, there’s nothing like feeling of seeing your design on paper. Being American-made seems central to the overall concept, but why did you really want to insist on making everything in the USA? Being American made is definitely a core priority. It started out for quality-control reasons. Being a graphic designer, I press check everything that is printed for our clients. Its part of the process to ensure your finished product is as you intended. I have that same mentality with product. I want to make sure, in-person, it meets our standards and its hard to do that if your product is being made abroad. But, as I identified manufacturing partners I ended up with companies who not only make quality materials, but they also have so much heart and pride in what they do – and as a bonus each of these partners believe in our product and understand and respect our high standards. And finally, being a small business owner myself, its pretty gratifying to support other small businesses. So, for all those reasons we will be American made! I can’t imagine this was an easy process. 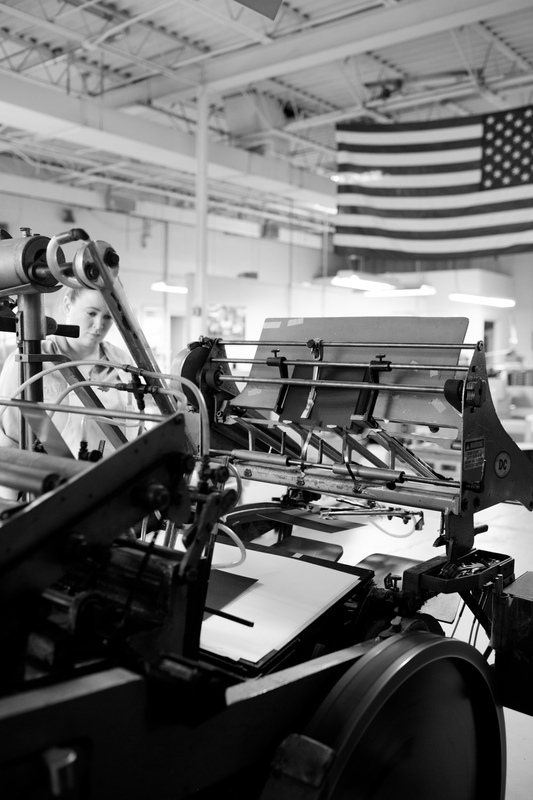 What did you learn anything about U.S. manufacturing along the way? You’re right and I’ve learned so much. Its been a lot of navigating to find and uncover the right manufacturer but once I did, I learned there are many storied makers, craftsman, and manufacturers who do incredible work and pride themselves in it. As a maker myself, that’s pretty inspiring. Count me in. I love the sleek styling of these products immensely. Too much these days is over the top in terms of style, thinking more is necessary when minimization actually brings so much more to the table in terms of looking and feeling more put together. I think this is a great idea, and can’t wait to get a full set of my own. Great point of view and that monogram is killer. Plus, I love any notebook post on ACL. How does it perform with a fountain pen? Really beautiful stuff. As a lefty, I kill spiral notebooks, so most of my “analog” writing takes place on legal pads. 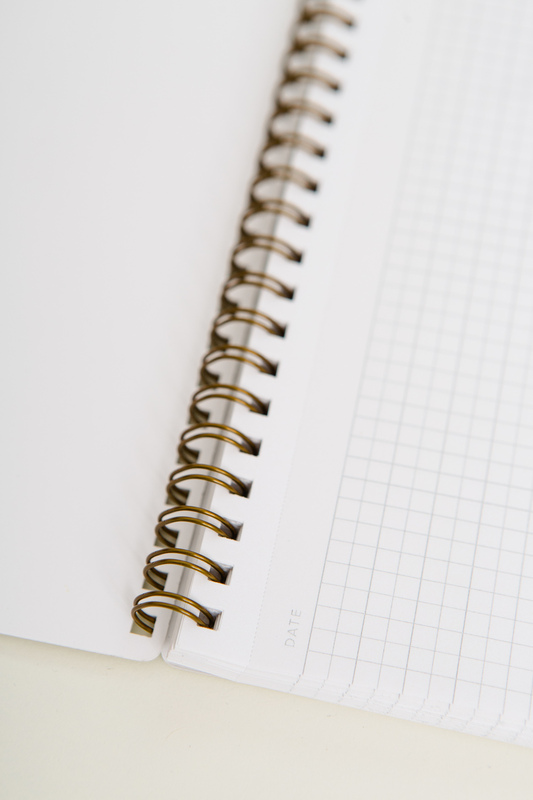 I would love to see Appointed produce a line of spiral-top notebooks.